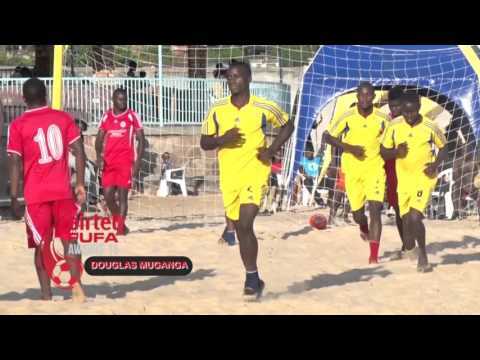 The President of the Federation of Uganda Football Associations (FUFA), who is also a CAF Executive Committee member chairing the Futsal and beach soccer committee Eng. Moses Magogo says that Uganda is a project as the country makes the majestic strides of becoming Africa’s number one footballing nation on and off the pitch. Eng. Magogo shared his thoughts, achievements as FUFA President, challenges encountered thus far, current state of Uganda’s football (club and National team), general update on the development of African football during an exclusive interview conducted by Ghanaian journalist Sheikh Tophic Sienu, the editor of 442gh.com. The interview that also covered matters on African football was conducted a few moments after the 2018 final of the TOTAL Africa Women Cup of Nations between South Africa and Nigeria hosted by Ghana. Ghanaian journalist Sheikh Tophic Sienu, Editor of 442gh.com: You are obviously the face of Ugandan football now, what is your vision? FUFA President: Uganda is a project. I can summarise it as a project. Our vision is to become the number one football Nation in Africa on and off the pitch. For us to be able to do that, we have to use the mission of development, promotion and protection of the game of football. If you reached our Headquarters today it is a message that has been put everywhere. Every staff, every player and everybody who has a connection to the Ugandan game today is aware that we want to become the number one football Nation in Africa. Ghanaian journalist Sheikh Tophic Sienu, Editor of 442gh.com who conducted the interview with the FUFA President Eng. Moses Magogo. We can only do that through development, promotion and protection of our game. I think it is a project now. It is right now starting to bear fruits. Four or five years ago when i became President of the FA, the things we are getting today were dreams that probably anybody thought they couldn’t come. What we are doing it has given us the confidence. We are even setting our targets much higher and that is why we are confident to come up with such a vision. Ghanaian journalist Sheikh Tophic Sienu, Editor of 442gh.com: You have a vision of becoming the number one football Nation in Africa. How long do you think this will be feasible? FUFA President: Until we achieve it, we shall not stop and we know it is an incremental process. When we started in 2013, Uganda had never qualified to the Africa cup of Nations since the last time we played Ghana in 1978 and this was 2013 and qualification was always close yet so far. We attempted in 2015 when I was President and failed. When we failed we regrouped, called a symposium, sat down and analysed and we looked at areas that have been making us perennial failures and we addressed these areas. We set ourselves that we shall be playing in 2019 at the Africa Cup of Nations. We achieved this much earlier. So basically, there are so many things that you need to put together for you to become number one. It is not just about being number one. But there are so many areas. Our approach has been in four areas; re-organize the Institution to have strong Governance principles, very strong secretariat in terms of staffing and very good policies. The second area we looked at is funding. You can’t achieve anything without money. We had to find a way of utilizing the resources available efficiently and put in place systems that can allow us to monitor and account the resources we have but at the same time we even said the resources we have are not enough. We looked at methods of bringing in more revenues and that’s when we went in to recruit professionals. When i came became President, there were only 8 full time staff, paid an equivalent of about 2000 dollars combined a month, they didn’t have Job Descriptions (JDs) were being paid in cash at the end of the month. But you can’t become number one in Africa without having a strong institution behind the game. In the process we recruited full time professionals in Communications, marketing, and this has turned around the institution. We were getting about UGX 300M (USD 100,000) as the total income from sponsors around that time. Right now, we get $3M from Government to support the National team and $ 3M from other sponsors combined. This didn’t come by accident but from a very aggressive marketing, rebranding and position but it was done with a plan. We also thought of opening up relationships especially with external stakeholders like the media-we have a quarterly meet with the media to ask any questions around the federation. This makes us get the confidence from them because when we call press conference we are addressing specific issues but then when you come on a day please ask anything we are here. We also positioned ourselves before the corporate world, the sponsors, we moved to them and said to them here we are, we have the football, it is something that you can use. We also moved to the Government and made our case and said look we can’t compete without the funding of the Government because it wasn’t funding at all. Then we even went to other opinion leaders in the county, religious leaders, cultural leaders, celebrities. We took the game to every-body. 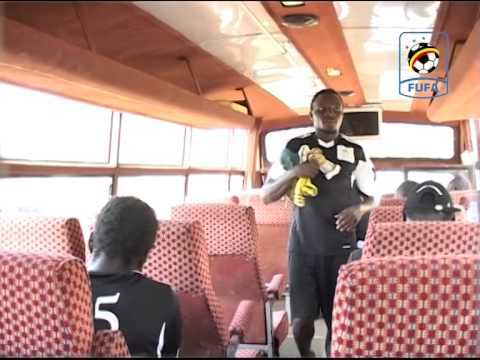 Today we look at FUFA, it is something that you will find in any taxis. We bought our own football radio (102.1 FUFA fm) to broadcast our local games right from the lowest divisions to try and promote our brands. 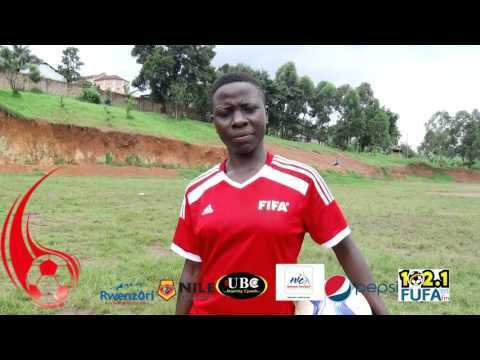 Lastly, football itself, we did certain things around football that are starting to give us results- for example we started a FUFA Juniors’ League. You can’t play in the Premier League when you don’t have a junior side. As FUFA, we do the MRI Tests, pay monthly remuneration to the club coaches and transport the players to fulfill their fixtures. I am sure the clubs undertake other extras. The MRIs allow us to get players of the right age especially starting from the U-17 Category. We have also put in place regulations to encourage players score more goals. We have a rule that gives a team an extra point if they win by more than two goals to get four points. These regulations allow players to play football and not be conservative. I’m telling you it is very amazing. Right now the players have started coming through the clubs. Of course some clubs are doing it better than the others but I will give the example of KCCA Football Club-our club which has been playing in the group stages of the CAF Champions League, most of their players are school boys and have from the junior side and are posting results. They are getting wins against Al Ahly, Esperance and a number of top clubs on the African continent but most of these boys have come from the Juniors League and you can see their quality is totally different from the recycled crop of players we used to have before who were moving between the Premier league clubs. Basically this league has also given us a strong U-17 National Team. For the first time our U-17 National team that has been born from this league qualified for the Africa Cup of Nations U-17 and we believe if this group of players is managed well, we will got to Tanzania and compete and our eyes are on qualification to the FIFA World cup U-17 in Peru. Ghanaian journalist Sheikh Tophic Sienu, Editor of 442gh.com: Let’s touch a little bit on the coaching issues of the Uganda Cranes. Some of us in Ghana and other parts of Africa, after the departure of Micho, we were thinking that Uganda would be going for a local coach as in the case for Ghana but you went again for a foreign coach. Why did you take that decision? FUFA President: First and foremost, as I was telling about the Juniors League, there are so many things we have tried to fix in football inside the game. You know we talk about the FA, the monies, the Government, but inside the football there were certain things that were not going right and one of them was coaching. You cannot do anything. You cannot get football results without coaching and sometimes we look at the head coach of the National team who stays with the players for 5 or so days towards the match. We analysed the entire coaching industry in Uganda and we realized that in 2013 we had only 28 CAF ‘C’ Licensed coaches-this is Level 4 in Africa. These are supposed to be coaches in high schools and in the communities, but those were the ‘Elite’ coaches we had in the country. So we realized that there was a problem and embarked on an exercise to train our own coaches in the country at our own cost. We now have over 500 coaches starting from beginners, FUFA Level One, CAF C, CAF B to CAF A. We have even put regulations to coach in the Uganda Premier League-a minimum of a CAF A or else we don’t license you. We have also trained the youth coaches but that was then. Now it is not possible from that kind of group of people we had a coach who had the qualifications that could answer the demands of African football. We needed a coach who had the expertise and experience on the African continent. We didn’t have a Ugandan at that level. Right now, we are starting to have a few coming through the ranks. The clubs are playing in the groups of the Champions League. And when you do that, definitely there is experience and miles that are picked across the continent. 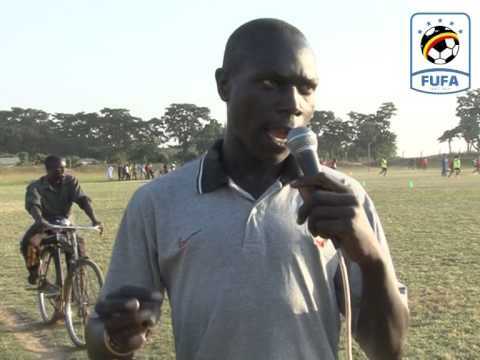 Before that we had coaches who are doing local leagues, they would not win even the first game on the continent so would not get the project of the Uganda Cranes to such people. So when Micho left, we decided to open up the vacancy and ask people to apply. A number of people applied. Over 100 coaches applied and I was very clear to Ugandans that I played football and I am a technically astute person. I read a lot about the technical side of the game but I don’t think I am suited and have expertise as President of the FA to hire a coach. So we put together a committee of the most highly technical people the country has. Fortunately our Chief Executive Officer Edgar Watson is a former Uganda Cranes Captain, a qualified coach and sits on the CAF Technical Committee. We had both the Technical Director and the Chairman of Coaches in Uganda. These were the biggest brains that the country had as far as the game technically is concerned but still they were lacking experience on the continent. So I called upon Kalusha who happens to be a friend as person, a former player, FA President of Zambia and Chairman of CAF Technical Committee. I told him he had everything in terms of expertise to guide and advise us on selecting the next Uganda Cranes coach. I told him we had a list of coaches who had applied for the job. He chaired the committee that sat in Kampala. They went through the CVs and gave us four names which were presented to the Executive to take a decision. We brought in Sebastien Desabre for his experience on the African continent and his personal desires to produce the best for the country since he had explored African club football. I believe he has done well so far. Sebastien Desabre on the day he was unveiled as the new coach of the Uganda Cranes. FUFA President says, the Frenchman has done well so far. Ghanaian journalist Sheikh Tophic Sienu, Editor of 442gh.com: On club level, we see that you are trying to change Ugandan football but when you look at the African terrain the CAF Champions league and CAF Confederation Cup you realise that Ugandan clubs are not hitting up the roof. What is the main issue and challenge? FUFA President: It is historical. You know in the early 90’s if you remember, Ugandan clubs were playing the finals of Africa. SC Villa played club Africain and Shooting Stars in the Africa club finals. 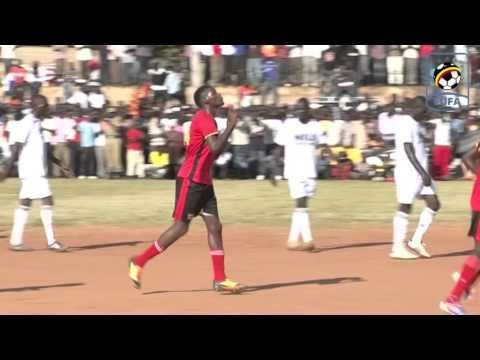 In 1995, Express played Orlando Pirates in the semi-finals of the Africa club Championship, in 1997 Kampala City council was playing in the quarter finals with Arab Contactors. So the clubs in the 90’s were doing very well but that was when the game was purely amateur all over the continent even in Europe. Professional football started in the early 90’s and in the amateur game it was about talent but in the modern and game it is about logistics and preparations- technically and tactically how the game is prepared for. We lost our age at that time. We didn’t switch to start looking. We missed the gap of turning our clubs professional so they remained amateur. Today when you look at SC Villa and Express, they are a shadow of themselves right from governance and structures. So we came up with the Clubs’ Pro agenda – it is a FUFA programme that re-engineers a club to go back to its basics. We have done this successfully at the federation and taken it to the clubs. We sit down and look at its business and sporting operations to come up with a five-year plan with the club. We take them through training. We have incentives that we give out to these clubs like we say if you do this then we will give you 100 balls – we look at governance, finance, marketing, football itself, the youth setup, facilities, how to manage the fans so that the club can start living on its own. KCCA FC has been a very good example. Vipers SC have even constructed their own stadium, so there is a bit of a new wave of clubs thinking professionally. It is the first time that two years ago KCCA FC was able to go to the group stages of the CAF Confederation Cup and this year into the group stages of the CAF Champions League. They have posted results against some of the top clubs in Africa. We are on our way back. It is not going to be instant. The challenge we have now is the power to hold onto the players because a number of them are departing before they are ready. Our league is not yet paying well but as we are building the muscle of the fans filling the stadia and the sponsors coming back to the clubs; right now we have over 20 corporate companies that are into different clubs and the league itself- this is again repositioning. We are sure that in the next four-five years we would be competing in the final stages of the CAF Champions League. Ghanaian journalist Sheikh Tophic Sienu, Editor of 442gh.com: There is a wind blowing in Ghana currently. A lot of people are saying that there should be a cut point for players in the Ghana Premier League that no player must be paid not less than 200$ per month. As an assumption, do you think it is workable and is Uganda thinking of something like that? FUFA President: I think it is wrong because when you are talking about professional football you are talking about market forces which are normally driven by the fans who are sympathetic with the players. Probably the players are not earning enough but people must understand that you must make the money for you to be paid. If you are playing in an empty stadium without the fans where do you expect that money to be coming from? I think everybody must understand that as a player as am playing, I must be performing an art that people are paying for me to be able to bring the money into the basket then even 200$ is nothing. I believe that players must be paid a lot more than that but we must make the money. Otherwise even if you set the rules and the money is not there you are asking somebody to sell their personal properties. It’s not fair. People who are administrators in football come because of the passion. I own a football club. I know what it means that at the end of the day you get into your pocket, into your money which is supposed to be for your private life and start financing a club which isn’t good at all and not sustainable. I don’t think it is right but the environment might be different in Ghana. In our country we cannot do that because it depends on how much you are generating as income. It is better we work as African football onto a model because right now we have a challenge of European football on one side and then ours. We must improve on the quality of the football, the facilities we are using and then also take football to people where they are instead of people coming to find it. We are living in an advent of technology. Let us to take football to the sitting rooms. Let us create our own local stars that are big names. If we do that, definitely the money will flow in and we won’t need to set a minimum wage. I don’t think the English Premier League has a problem of a minimum wage – simply because the money is there. Ghanaian journalist Sheikh Tophic Sienu, Editor of 442gh.com: Let’s add this to the StarTimes Uganda Premier League. Recently you broke the deal with them to be the official broadcasters and title sponsors of the Uganda Premier league. How impactful do you think the sponsorship from StarTimes will be able to affect the league positively? FUFA President: I think like I have just mentioned is that football is for the fans. You must take football to where the fans are. The challenges of the modern times are that people are busy, people are working and don’t have as much time like it used to happen. In the 70’s, 80’s and 90’s the only form of entertainment was probably football. In the evening it was fashionable to go to a football match. Today we have totally different issues. Now in Africa, football is also being played at a time when there are other things keeping people away. We don’t have the facilities of the flood lights unlike Europe, that during the week days games can be played at night. In Africa because of our situation as a continent it is not very possible that everywhere you will have football being played at night. Now what StarTimes is doing with us it is to be able to take football – and if you look at their numbers in our country, they have over 1.2 million subscribers, we are moving from Azam. Azam used to have 90,000 subscribers. Well as they were recording the games but still who was watching them? Not every homestead but today you will find StarTimes in almost every homestead in Uganda and they have dedicated a full channel strictly for Ugandan football and the prime sport there being the Uganda Premier league so my thinking is that in the next four five years we will have home-made stars that everybody can identify with and together with them we are also organising the FUFA Awards at the end of the year where we strictly give out the best prize to the Ugandan based players. We have players playing outside Uganda but strictly these awards are for the Ugandan based players and what do we do? The winning player-male and female gets a brand-new car each one of them and that happens every year. 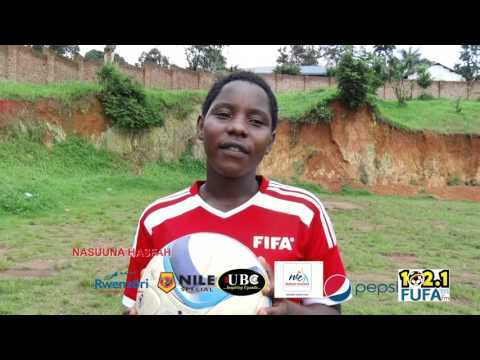 This is going to be the fourth edition this December and we look at the lives of the players who have won, they have turned professional, they have got education- the girls particularly University education free and it’s turning around a number of lives – one of the girls Fazilah Ikwaput is playing in the UEFA champions league now. Television is the only way you are going to take football from the state it is, what is making European football what it is. We don’t have a short cut. We have to go Television. Ghanaian journalist Sheikh Tophic Sienu, Editor of 442gh.com: In trying to rebrand Ugandan football what are the major challenges that are hindering your movement or your progress? FUFA President: I think the biggest challenge is not only Ugandan challenge. I can call it an African challenge. All African countries face this. The game of football was amateur for over 100 years. To change the mindset of anyone, myself inclusive, staff, coaches, Government and every stakeholder in the game from an amateur mindset of saying you go to the field to play the game of football and whatever happens “happens”. You start thinking that actually I get into this game to play. It’s a whole challenge. It’s not something that is very easy. If you are a journalist, coach your contribution should have an economic value addition to the industry. If you are the owner of the club you should not be spending your money. You should be looking at how you make more money as a business. To change that mindset definitely is not going to be easy. People have been living that way. It has been a way of life. To tell someone that, not going to watch a game for free you must pay-people will not understand this kind of arrangement because the mindset is amateur. For me that has been the biggest challenge. To be more specific to Uganda, we have also had a challenge of Government. Our Government has been so insensitive about sports. They did not appreciate the value of sport that can bring to our Country. We are such a country endowed with a lot of talent not only football but in boxing, athletics and netball. But until I came into office and managed to do advocacy right now we are getting the audience. The President of the Republic of Uganda for the first time after being in office for 30 years it’s the first time he realised that there is a team called the Uganda Cranes. He confessed it in his own words. ‘I didn’t know there was a team called Uganda Cranes’. Right now he knows names of players in the team. He calls them by names Denis, Miya and everybody else. For me that is a job I had to do or the people in football It’s a job we had to do. Government has a big role in Ghana. We can see what it is in terms of infrastructure. As football we can’t do stadiums! We can’t. It’s supposed to be done by Government. We can’t host an international competition on the level of African Cup of Nations without Government. But now, there is a very big turn around and we are getting the response from Government. The new Sports Law is being put in place and there is an agenda to do infrastructure in the country. I’m very excited that in the next 10-20 years definitely what we consider challenges today might not be the opportunities to be used. Another challenge is the corporate world yet to reach the level of understanding on how to use sports to be able to achieve their own objectives. Like I said, everybody’s mindset on the continent has been amateur. So even the sponsors will look at donations, give you something and put their name somewhere, without looking at how to make more money using football. I think those are some of the challenges we face. Other usual challenges are insufficient resources and all other society challenges. Being Africa our problems are the same, poverty, wars, corruption all affect football because it doesn’t live in isolation. It is part of the society. Therefore some of the society problems are affecting football directly and are still a challenge. President of Uganda Y.K. Musevini (L) receiving an award from FUFA President Eng. Moses Magogo at State House Entebbe. Ghanaian journalist Sheikh Tophic Sienu, Editor of 442gh.com: How has the media in Uganda been supportive in your course to transform Ugandan football? FUFA President: I will start from where I ended from in the last question- ‘the mindset’, because the setup was totally different. If I was a President of FA there would be a group of journalists fighting me and another other group supporting me. Then I would be paying them money, that is what it was” and that’s what the set up was! But when I came in, I said NO. I’m not going to pay anyone money. If you want-you write. If you are objective, get what you want but we are not going to pay anyone money. Of course it did not make us good friends. Right now there some sections of the media that are really very critical but we have disproved them by being consistent with the results. If we say we are going to do this and we do it. The media can be negative but at the end of the day we exemplified. We try to be as transparent as possible. We have gained a lot of stakeholder’s confidence. There are very many renowned media people who have confessed publically- that actually we thought this was not going to work. There was a notion that for one to be an FA President in our country you have to be a rich man. You needed to have money to splash around. Accidentally, when I came in I said I have enough for my own resources and told them I don’t have any money to give out. I want football to be paying people not people to come to football to earn when they are not adding value to it. So the ethical media has been very supportive and I would like to thank them for that. But the media which is not ethical that thought they should be bought to be positioning, to be covering stories, we said uncover whatever you want to uncover and please cover also the good things that we are doing, if you don’t want to do them. If the team has qualified to AFCON you may not write about it if you don’t want, the fact is they have qualified and and we have had a number of achievements. Ghanaian journalist Sheikh Tophic Sienu, Editor of 442gh.com: Let’s look at the decision taken by the CAF Executive Committee about the hosting rights of 2019 AFCON Finals stripped from Cameroon. A lot of people have argued that the decision was unfair. Cameroon knew they were hosting 16 countries before a decision was taken to increase them to 24 and instead of 4 stadium, they needed 6. Do you share the same opinion? FUFA President: The decision to increase the teams from 16 to 24 was arrived at scientifically. It was one of the things that would bring in more resources to the game. FIFA is doing it because the game needs more money so we have to look at how many games we give to our sponsors for visibility and television. Secondly, it is giving a realistic chance for teams to play at the Africa Cup of Nations. I had become a closed club. I used to tell people that 13 countries were assured of playing at AFCON as the big boys while the rest would fight for the remaining three slots by 40 countries. Right now, we are seeing many countries making it; we are seeing Kenya, Mauritania, Madagascar, Burundi might qualify as well. It is a new wave. The country which qualifies for AFCON becomes better in terms of Organisation and awareness. FUFA President Eng. Moses Magogo (R) with Sulimani Waberi during the CAF Executive meeting in Ghana. Getting back to the decision; It was not a bad decision. It was communicated to Cameroon and they continued with the preparations. As CAF, we appreciate the effort of the Government of Cameroon to uplift the infrastructure. They did a commendable job. The way it stands, African. For the remaining six months, the time would not be ready to allow the completion of this wonderful competition which is the premium event for CAF. We couldn’t risk. At CAF we are very open-minded people. We hope that they continue with the progress of the infrastructure. We wanted to protect the competition. The issue of political instability was never discussed but rather that of infrastructure. We appreciate the effort of the Cameroonian Government. Without drawing any conclusions between now and June, we told them that they were not ready for the Competition but the progress can continue such when another opportunity arises we can go back to Cameroon. I have supported Cameroon. I come from Uganda and I have supported them during the world cup. Everyone loves Cameroon. FUFA President: It would be a good idea to increase them. Right now, they are eight. It is much harder to qualify for the junior tournaments than the main AFCON. This is an internal discussion that is currently going on among us. My personal opinion would be to increase such that there is a possibility for many countries to qualify. However these competitions don’t draw in enough resources. We need to strike a proper balance. Ghanaian journalist Sheikh Tophic Sienu, Editor of 442gh.com: Nigeria managed to successfully defend the AWCON championship. What is your overall impression about Nigeria, women football in Africa and the tournament in Ghana generally? FUFA President: Nigeria beat the gun. They are taking the credit for having started a little earlier than the rest of the African countries. There is women football everywhere in Nigeria. Take a look at the starting eleven on the team in the 2018 AWCON finals against South Africa, only one is based in Nigeria and the rest are based in China, USA and they are going through preparations and good training drills that are totally different. I would like to give credit to South Africa. If you look at the game, punch by punch, until penalty shootouts-which i call lottery myself, the game would have gone either way-and you can see Nigeria, South Africa and Cameroon have qualified for the FIFA Women’s World Cup. There is a lot of work to be done if you are going to win the FIFA Women’s World Cup where you take a comparison with the likes of South Korea, Germany and the rest. We need to improve technically and tactically on the coaches. There is still heavy male presence in the game in the area of coaching which is not bad but we need to develop and increase women presence in that area. We would love to thank the Government of Ghana for the wonderful tournament organised.